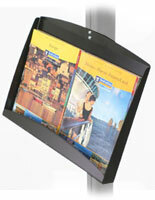 Snap Frames : These literature pockets are part of our BRAVA series of standing poster frames & accessories. 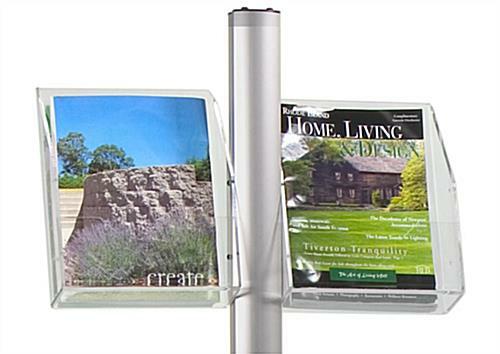 Literature pockets, brochure holders, and other brochure displays are a great way to feature your handouts on these display fixtures. These particular acrylic literature pockets attach on the side of the pole and can be mixed and matched with other items from the adjustable banner's display accessories line. Use the 6', 8', or 12' banner pole and add literature pockets, poster frames, and customized headers for a stunning display. The literature pockets, also called brochure holders, slide into the adjustable tracks on either side of the sturdy aluminum banner pole to make a complete literature holder. Literature pockets can further customize your banner pole display by being featured beside a retail poster. You choose how many literature pockets, like these literature holders will best fit your brochure display advertisement and customize away!! The literature pockets attached to the literature holder are just one of the many display accessories available in this accessory line. 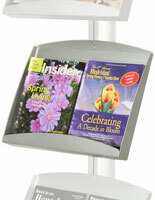 Buy extra literature pockets and feature your banner pole solely as a brochure display. Use just a few literature pockets, also known as brochure holders and slide poster frames in the other track for more versatility. 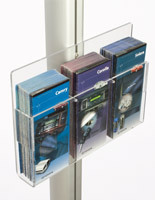 Purchase as many or as few literature pockets as you need for your particular brochure display. Literature Pocket Dimensions: 12" x 10" x 4"
*Note: These are the side-mount literature pocket accessories only. For an entire display, view our other display accessories. 10.0" x 78.0" x 23.8"